Pickups for this tour commence at 4:45pm. You will be notified of your exact pickup time closer to the date of travel. Please provide a valid phone number and email address when you book and we will contact you once the pickup time is confirmed. Discover a different kind of Gold Coast nightlife as you explore the forest after dark with our Glow Worms Evening Tour! 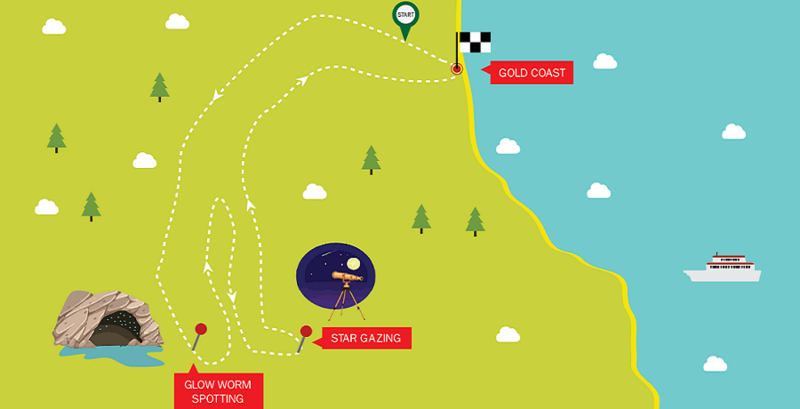 Immerse yourself in the fascinating world of the mystical Glow Worms creatures, as we take you on a journey to explore the World Heritage Listed National Park, like you’ve never seen before! We’ll take you on a leisurely walk through the rainforest before arriving at our secluded private location where its guaranteed to see Glow Worms. Arriving at the cave, step inside nature’s own planetarium and be enchanted by the cave full of magical glow worms that will light your way, creating a magical ambience. With a view up close, you’ll be amazed with the glimpse of the glow worms’ sticky little threads that hang like spiderwebs. After being astounded by the phenomenon of the magical Glow Worm creatures, enjoy a fully guided rainforest walk, where your guide will share with you their expertise of this precious eco-system. If you are lucky enough, you may even get another glimpse of the exceptional glow worms in their natural habitat! Keep your eyes peeled to spot some nocturnal animals by torchlight as they come to feed in the cool of the night. Our final stop on our Glow Worm Evening Tour will have you gazing upwards at the marvels beyond Planet Earth. 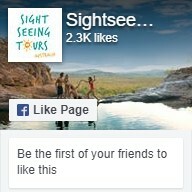 We journey to the magnificent Goomoolahra falls to enjoy star gazing, away from the city lights of the Gold Coast. Be amazed as the night sky comes alight with the millions of bright stars that make up the Milky Way. Book your Glow Worm Evening Tour with us for a night that is out of this world.